From 9th of September to 26th of September the 22nd edition of the L’Hora de Jazz (The hour of jazz) festival will take place in Barcelona. The majority of concerts will be free, taking place in different kinds of clubs and at various locations. The best place to go to a concert will be Placa de la Vila in the area of Gracia. Every Sunday in September there will be mostly free concerts here, at 12.00 and 13.00 o’clock. So don’t jazzitate and have a nice Sunday! If you want to know more about this event, go to the official website and check out the program. Do you like it a little rough and are you into sports? Then you should definitely pay a visit to the Olympic Stadium in Barcelona on the MontjuÏc Hill. The top French rugby league comes to Barcelona to compete in a few games. 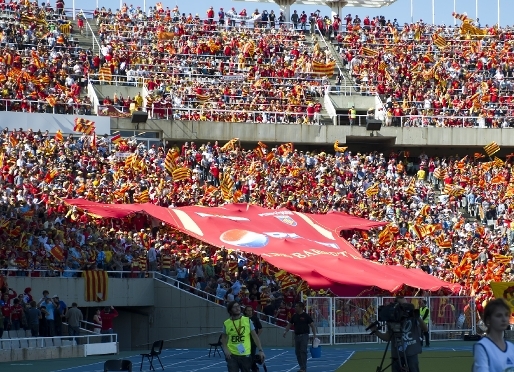 For example the team Perpignan (USAP de Perpinyà) will play against Toulouse. This event will start at 15:00 o’clock and will end late in the afternoon. For more information you can check out the official website. And for tickets you can go to the USAP website. The nice weather in Barcelona has a lot of advantages. And what isn’t nicer then being outside and enjoying some music with the family. Piknic Electronic offers a great combination of open air electronic music and a picnic festival for the whole family. This outdoor event will take place in the Jardins de Joan Brossa park in the MontjuÏc hill in Barcelona. The event started in July and will also take place in September. Sunday the 16th and 23th of September will be the last two Sundays to be a part of this event. It starts around 10:00 in the morning and ends at 01:00 in the morning. If you want to know more about dancing to some good DJ club music in the open-air you should visit the website. 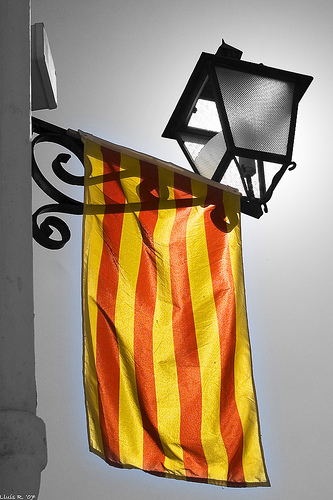 The 11th of September is the National Day of Catalonia. It’s a big day with a lot of history. The Organisation Omnium Cultural supports and promote the Catalan language and culture. Also they organise an annual outdoor festival, Feste per la Llibertat (Freedom festival). It’s a festival with many activities and free concerts. For this event you have to be at de Arc de Triomf at the Passeig Lluís Companys, it will start at 09:00 in the morning. There will be a protest march with torches from Plaça Urquinaona to Passeig Lluis Companys at 17:00. If you want to know more about the history behind this day go to this website. Do you want to take a free fun walk with a lot of other people in Barcelona? Then put on your walking shoes on Sunday the 16th of September and go to Parc de L’Espanya Industrial at 09:00 in the morning. It’s a 14 km walk trough the beautiful district de Sants in Barcelona. There will be a refreshment point and control point and everybody is welcome, there is no registration needed. For more information check out the website. This entry was posted in Barcelona, Uncategorized and tagged barcelona, concerts, event, events, festival, music, Rugby, September. Bookmark the permalink.